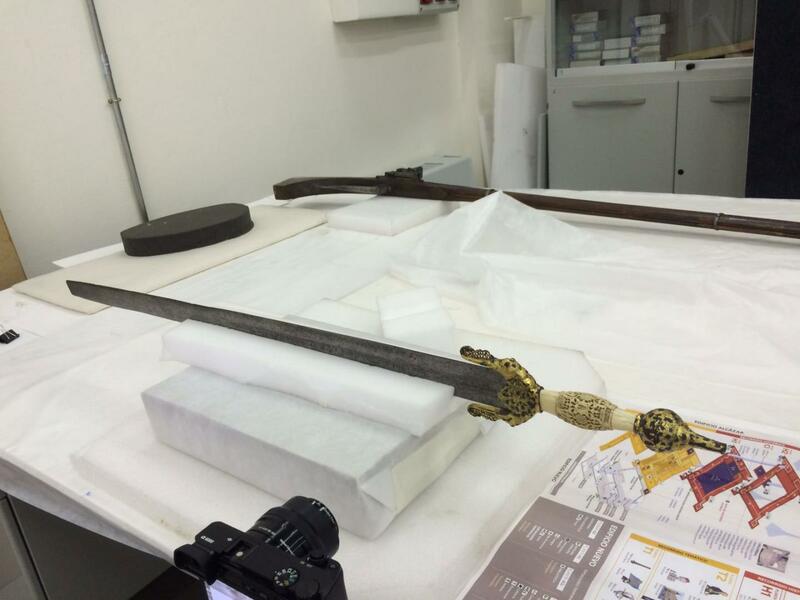 An exquisite sword designed by the finest metalworkers of Grenada and wielded by one of the last great military leaders in Muslim Spain has been digitized in 3D. It belonged to Ali Atar, Warden of Loja and Lord of Zagra, who has become a heroic figure with many tales of dubious accuracy told about his background, bravery and generosity. According to legend, Ali Atar started out as a trader in spices who climbed the ranks of Andalusian military leadership thanks to his skill in battle. He served Muhammad XII, Sultan of Granada, known by Christians as King Boabdil. Muhammad was also related to Ali Atar, having married Atar’s beautiful daughter Moraima whom he loved beyond all others. Muhammad’s reign was a tumultuous one riven by internecine warfare. Christian rulers took advantage of Grenada’s weakness to take Muslim cities and chip away at what was left of the last sultanate. The Sultan tried to flip the script and in April 1483, he and Ali Atar tried to take the Christian city of Lucena (Cordoba). The battle was lost and Ali Atar, then 90 years old, died in the fight, his trusty sword in hand. Ali Atar’s long life and battlefield death mirrored the final century of Muslim rule in Spain. The Nasrid dynasty, rulers of the Emirate of Grenada, was the last Muslim dynasty in the Iberian Peninsula. Muhammed XII was captured at the Battle of Lucena and was only freed after he swore allegiance to Ferdinand II of Aragon and Isabella I of Castile. It was a meaningless allegiance as their Most Catholic Majesties had no interest in maintaining any kind of Islamic rule in Iberia, even under their ostensible suzerainty. In 1491, Ferdinand and Isabella besieged Grenada and on January 2nd, 1492, nine years after Ali Atar’s death, Muhammad XII surrendered the Alhambra palace to King Ferdinand II and Queen Isabella I and went into exile in Morocco. His sword’s fame outlived Ali Atar. Covered in gold and ivory, the sword was taken by Christian forces after Atar’s defeat at Lucena and is now one of the most precious treasures of the Toledo Army Museum. Researchers from the Polytechnic University of Valencia and Toledo company IngHeritag3D worked together to create a 3D model of this storied weapon. 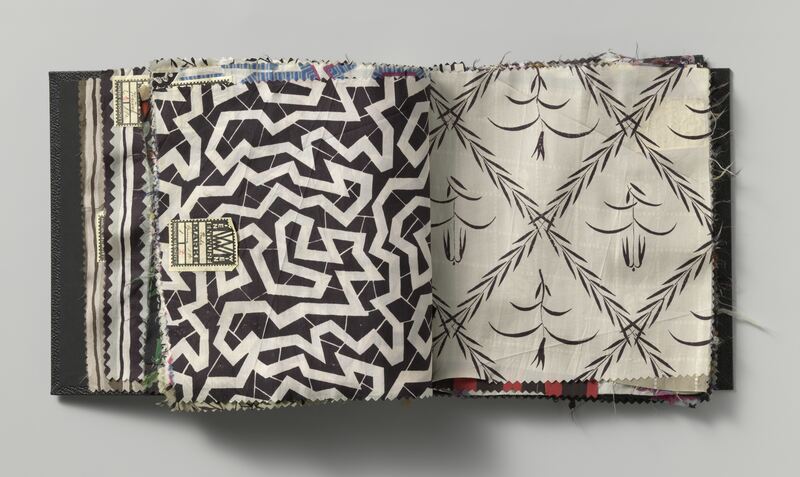 Its design and materials posed challenges to the digitizing team. First they photographed the sword from many angles using a technique called photogrammetry. Then they overlapped all the images, drew planimetries (drawings of the meticulous filigree of the grip) and generated its 3D model. 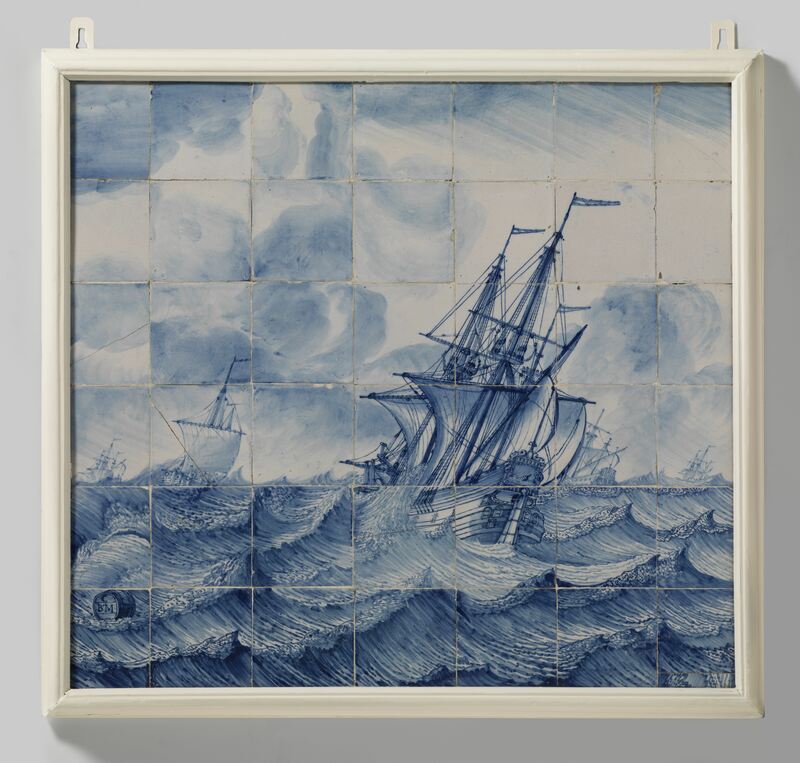 “These techniques offer the possibility of valuing relevant pieces inside and outside museums, since three-dimensional modelling is prepared both for specialists -who can manipulate the piece virtually-, and for being shared publicly and interactively through the Internet,” says engineer Margot Gil-Melitón, co-author of the work. 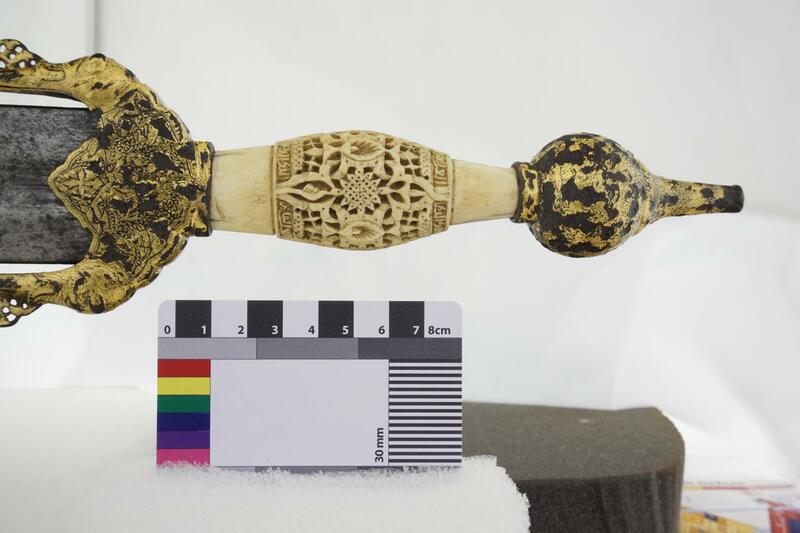 Using a web viewer, any user can use their mouse to check an exact replica of the handle of this genet sword, a type of genuinely Nasrid weapon introduced in Al-Andalus by the Zenetas (Berber people from whom it takes its name). Ali Atar’s sword has a knob in the shape of a bulbous dome, an ivory fist carved with drawings and Arabic letters, and a golden arriax (sword grip) topped with zoomorphic figures. To record the details of this fine ornamentation, the researchers have devised solutions that have facilitated the analysis of highly reflective materials and complicated geometries. Their workflow could also be applied to characterize other museum pieces. 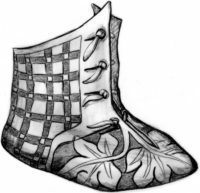 Archaeologists excavating the town of Saint-Ursanne in the Swiss canton of Jura have discovered an exceptional decorated leather toddler bootie from the Middle Ages. Sanitation works on the town’s canal network over the past three years have given archaeologists the opportunity to explore Saint-Ursanne’s medieval history and a wealth of organic remains have been found in the eastern part of the old town thanks to a large depression left by the river Doubs. 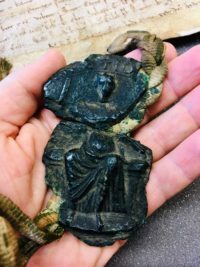 More than a hundred fragments of leather have been found under the old town thus far, preserved in the waterlogged soil for hundreds of years. The shoe is the most remarkable of the leather finds. It measures 6.7 inches by 5 inches and has a goat leather upper and a cow leather sole. The boot goes high up the ankle and has leather button closures. It is sized for a child about 12 months old. This design was a popular in the second half of the 14th century, but very few examples are known to have survived to the present day. This particular piece is even more of a stand-out because it is decorated with a foliate pattern on the front and a geometric check on the back of the bootie. Only five similar shoes have been found in Europe — three in London, two in the Netherlands. 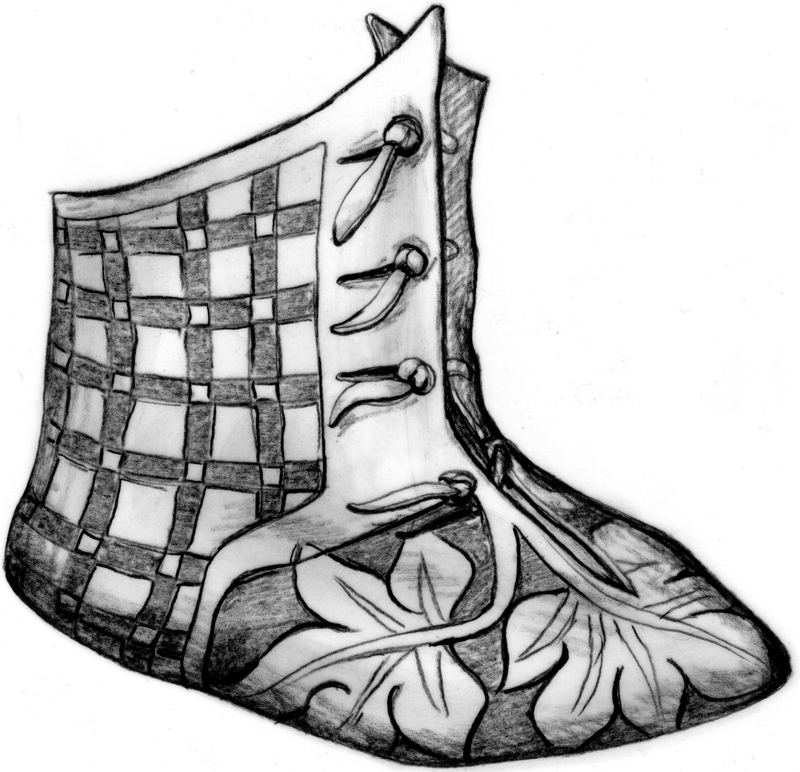 The bootie is unique in the Swiss archaeological record. The leather remains were transferred to the Lausanne Shoe Museum for examination and conservation by specialists Marquita and Serge Volken. 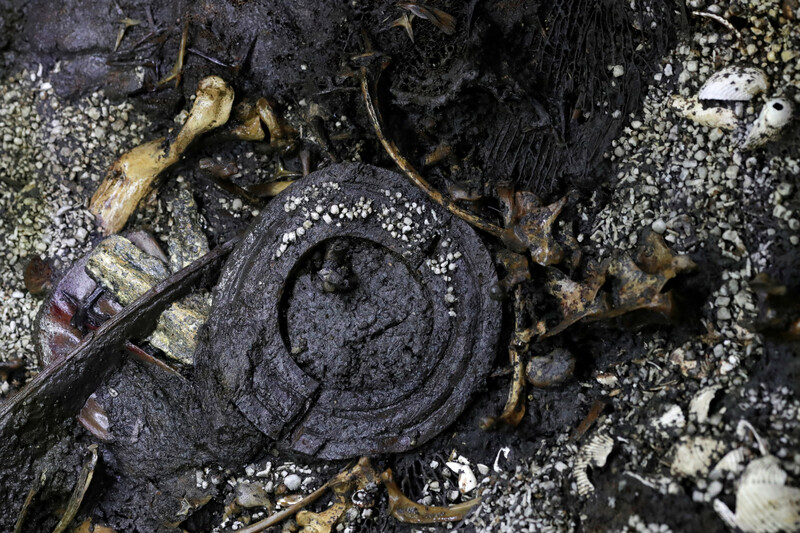 Like most surviving leather buried underground, the shoes are a uniform dark brown. If they did have decorative color elements, any indications of it are now lost. 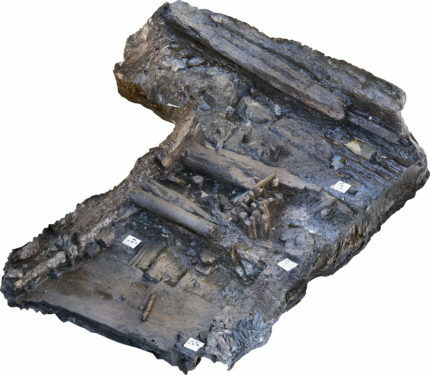 The excavation in the eastern sector of Saint-Ursanne’s old town has also unearthed significant wood architectural elements from the Middle Ages, also preserved in the waterlogged environment. Most recently archaeologists have discovered a large wood construction underneath modern-day Rue du 23 juin. Experts have not been able to determine yet what type of structure it was or what its function may have been. Excavations are ongoing. 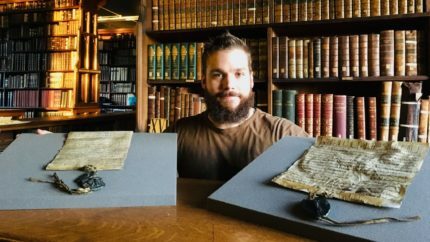 An original royal charter from the reign of King John has been discovered in Durham University’s Ushaw College Library. 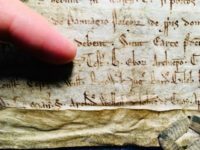 Dr. Benjamin Pohl, a medieval history professor from the University of Bristol, found the rare document while studying the library’s medieval manuscripts with archivist Dr. Jonathan Bush. As they went through the library’s extensive collection of manuscripts, they discovered a box in the safe with documents that had not been officially catalogued; the royal charter was among them. The charter dates to 1200, the first year of King John’s reign and was issued in York on March 26th making it exactly (almost to the day) 819 years old. In it the King confirms the grant of two hamlets — Cornsay and Hedley Hill in County Durham — to Walter of Caen and Robert FitzRoger. FitzRoger was Lord of Warkworth and Sherriff of Norfolk and Suffolk, and both men were the nephews of Simon, a chamberlain of Durham who had received the hamlets more than 15 years earlier as a grant from the Bishop of Durham Hugh de Puiset. Simon wanted to give the hamlets to his nephews but needed the king’s royal charter to make the grants legal and official. There may have been a undercurrent of political clean-up here too. Hugh de Puiset was thoroughly enmeshed in the turbulent monarchy of Stephen of Blois through the Angevin rulers. He was Stephen’s nephew, either sided against Henry II during his sons’ revolt against him or at least operated shadily in the background against the king. Hugh bought important offices from King Richard for a pretty penny, and when Prince John took control of the throne during Richard’s captivity in Vienna, Hugh opposed him to the point of battle, sending troops against some of John’s properties in the north of England in 1193. Hugh de Puiset died in 1195. John became King of England on May 27th, 1199. Ten months later, John granted Hugh’s nephews the properties his erstwhile enemy had given them. Very few original charters from John’s first year of kingship have survived. They are usually known from charter rolls (administrative records of all royal charters) and some contemporary copies that were spread around the country and kept in institutional archives. This royal charter is all the more important because it is only known from the charter roll and there are differences between it and the administrative record. Some are minor differences — spelling mostly — but one is a very notable discrepancy in the list of witnesses. The charter roll only records the Archbishop of York, the Chief Justiciar of England and the Sheriff of Yorkshire and Northumberland as witnesses present at the issue of the charter on March 26th, 1200. The original charter has a much longer list of witnesses, adding the Constable of Chester, the Sheriff of Berkshire, Cornwall and Devon, the Royal Justice and Baron of the Exchequer, the Lord of Kendal, one Germanus Tison and Henry, son of the Archbishop of York, to the ones named in the charter roll. 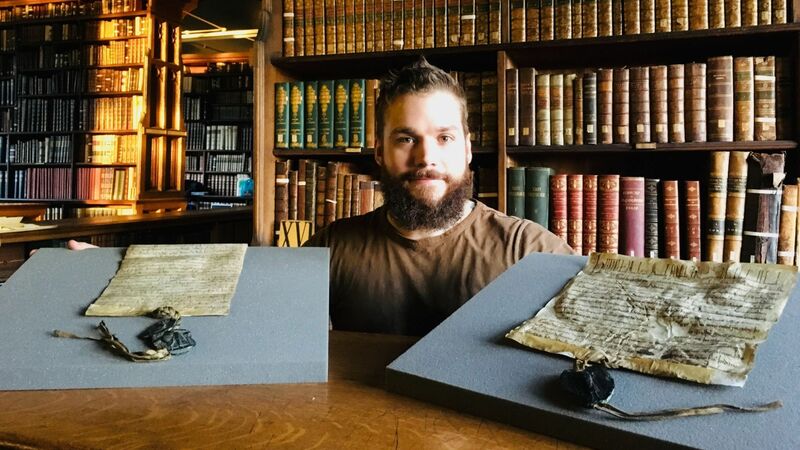 Dr Pohl said: “Discovering the original charter at Ushaw is extremely exciting, not least because it allows us to develop a fuller picture of the people who were present at York on 26 March 1200 and eager to do business with the new king. 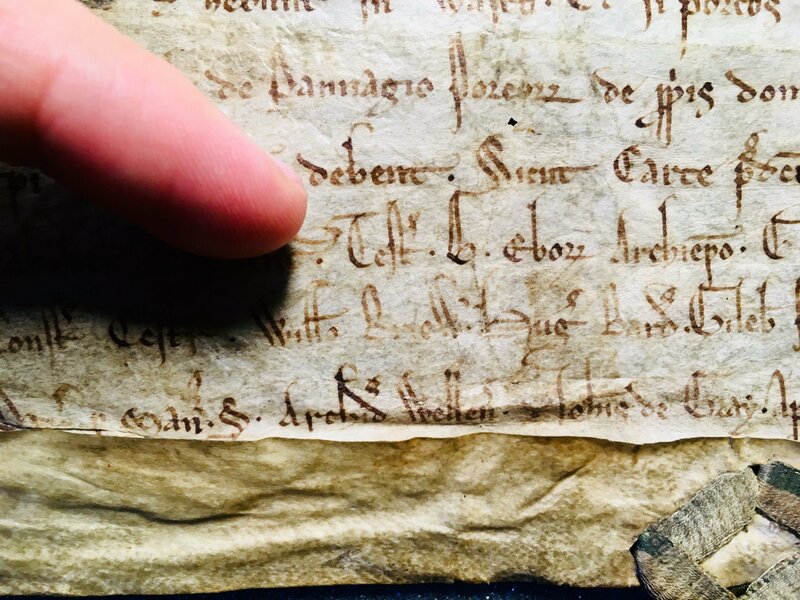 “Medieval charters are important not just because of the legal acts they contain, but also for what they can tell us about the society and political culture at the time. Indeed, their issuing authorities, beneficiaries and witnesses provide a cross section of medieval England’s ruling elites. And then some. The Durham Residential Research Library collection also includes the original charter in which Hugh de Puiset granted Simon the two hamlets. The discovery of the royal charter allows scholars to compare the two documents side-by-side. The excavation at the foot of the steps of the sixth stage of the Templo Mayor in Mexico City that discovered the remains of a sacrificed child last year has unearthed a new trove of rich sacrificial offerings including jaguar bones, a set of flint knives, copal bars, shells and starfish. 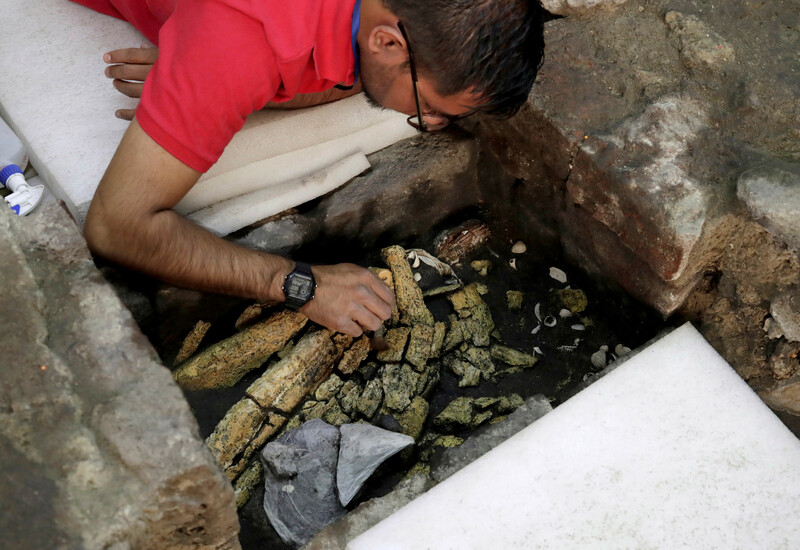 The jaguar bones were found in a rectangular stone box that is so large Archaeologists from Mexico’s National Institute of Anthropology and History (INAH) have barely scratched the surface so far. Only about one-tenth of the box’s contents has been excavated, but already a wide array of artefacts has been found near the top, including a spear thrower and a carved wooden disk placed on the feline’s back that was the emblem of the Aztec patron deity Huitzilopochtli, the war and sun god. A layer of aquatic offerings placed on top of the west-facing jaguar have also been identified, including a large amount of shells, bright red starfish and coral that likely represented the watery underworld the Aztecs believed the sun travelled through at night before emerging in the east to begin a new day. A second stone box was discovered next to the jaguar box. It contains a top layer of copal bars, a type of tree resin burned by Aztec priests like frankincense and sea shells. It has only been partially excavated thus far. 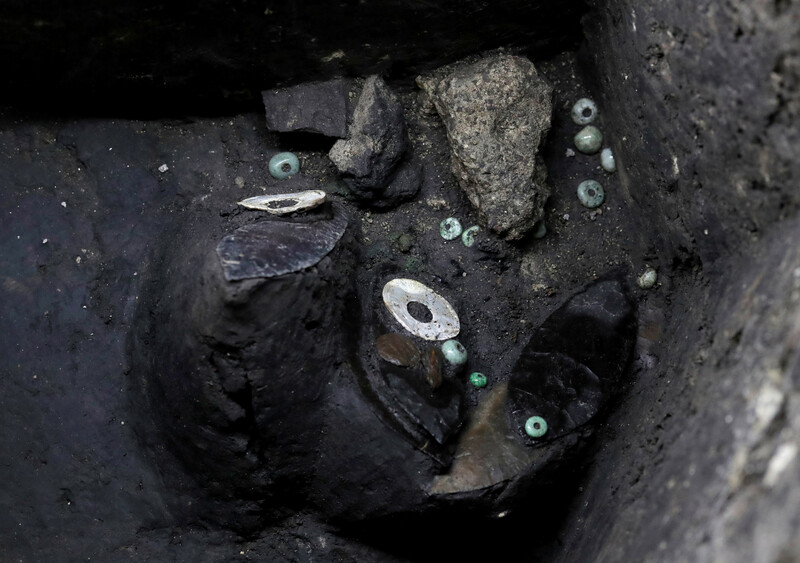 A third stone box next to it contains 21 flint knives that, like the remains of the jaguar and the young boy, were decorated with the regalia of warriors complete with a mother of pearl war god disc, a miniature spear thrower and a shield. 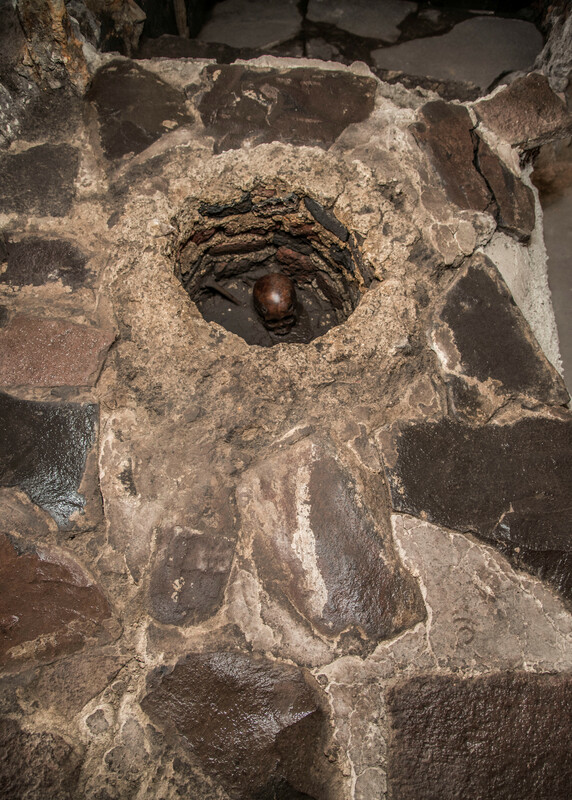 The ongoing discoveries of ritually significant offerings at the site while exciting in and of themselves also tender hope that this spot could indeed be the tomb of Aztec king Ahuízotl. According to Spanish chronicles, cinerary remains of three Aztec kings of Tenochtitlan — brothers Axayacatl (1469–1481), Tizoc (1481–1486) and Ahuízotl (1486-1502) — were deposited along with copious offerings and the hearts of sacrificial victims under or near the Cuauhxicalco, a circular platform at the foot of the steps of the Templo Mayor. This is where the pit containing the remains of the sacrificed boy and now the rectangular box have been found. The cylindrical burial pit is unique among the 204 tombs unearthed at the Templo Mayor, and with the exceptional density of sacrificial offerings that have already been found in the stone box, archaeologists are hoping that they may have indeed found the burial site of the kings described by the Spanish. The construction phase of the temple dates to the reign of Ahuízotl, so all the pieces seem to fit. If the archaeologists’ hopes come to fruition, this would be the first tomb of an Aztec ruler that has ever been found. A gilded bronze figure of a Buddhist deity that was bought at a garage sale in Kirkwood, Missouri two decades ago for less than 100 bucks sold at auction Wednesday for $2.1 million. The deity depicted in the statuette is Avalokiteshvara, also known as Guanyin among many other appellations and forms. One of those forms, Cintamanicakra, is traditionally depicted holding the wish-granting jewel cintamani in front of his chest as he is here. He sits in the royal rajalilasana posture, his head resting on one of his three right hands. His elaborate updo is embraced by a high diadem trailing long ribbons. He wears beaded necklaces and his chest is crossed by draped and knotted robes. 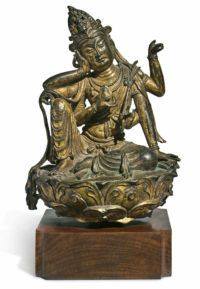 He holds a lotus stem in a left hand at the hip and the dharma wheel in a raised palm. A mala (a string of beads used in meditation) is in another hand. His sixth hand supports the body, planted on the lotus-form seat. The seller brought the piece to Antiques Roadshow in St. Louis two years ago to find out what it was and how much it was worth. She was shocked when Waterhouse told her the gilt-bronze figurine was of such high quality that it was likely of imperial provenance. His conservative estimate for a retail price was $100,000–125,000. He thought it might date to the 15th century Ming Dynasty. Later researcher put the date far further back to the late Tang Dynasty (618-907 A.D.) or early (907-979 A.D.) Five Dynasties and Ten Kingdoms period and. 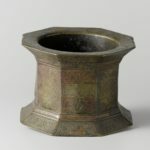 Sotheby’s auction estimate was even more conservative than Waterhouse’s at $60,000-80,000, but with the market for Chinese antiquities being molten hot, I suspect there was little doubt the piece would far exceed the estimate. Indeed, bidding was fierce and fast, driving the price into the millions. Seven minutes later, the hammer fell at $2,060,000. 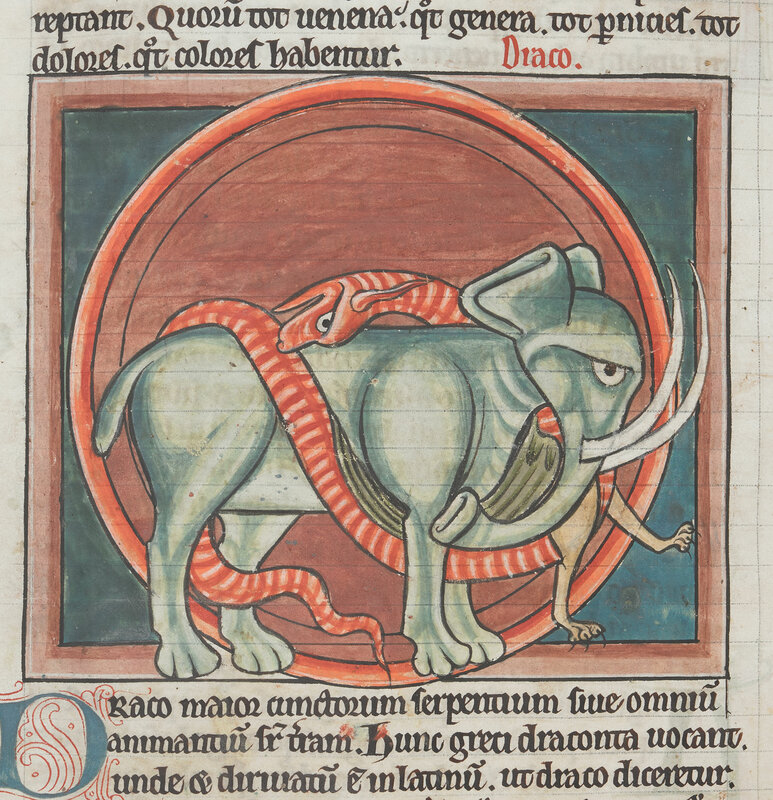 England and France may have had one or two little issues with each other in the Middle Ages, but all is forgiven now and 800 medieval illuminated manuscripts have been digitized and made available to the public on the websites of the British Library and Bibliothèque Nationale de France. 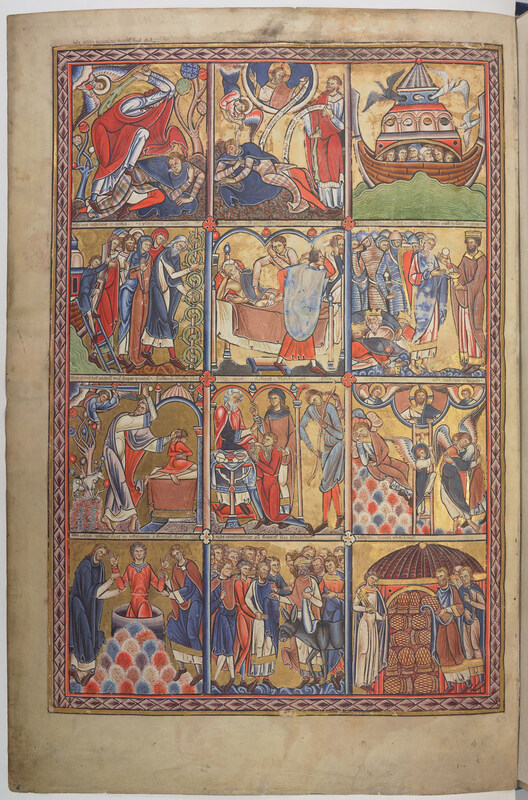 The BL and BnF have the largest collections of medieval illuminated manuscripts in the world. 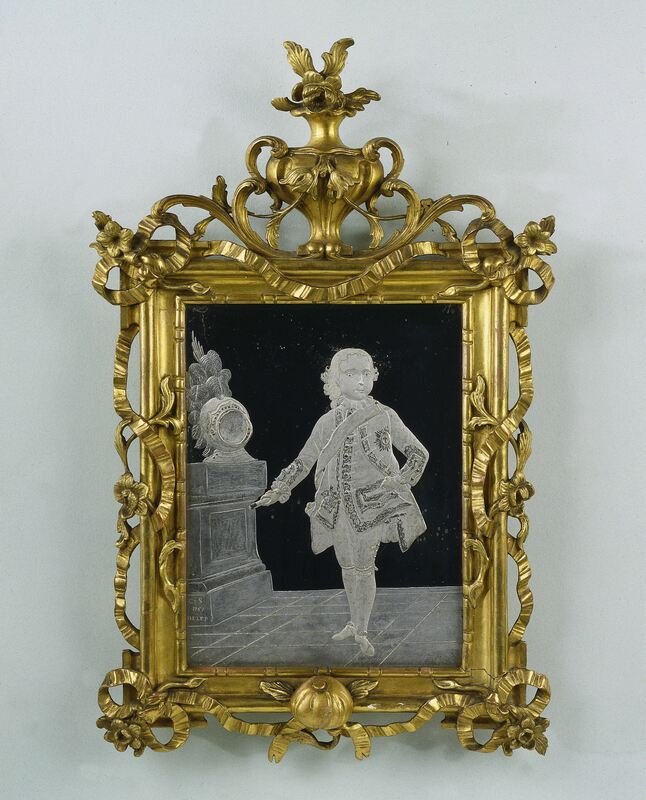 To make some of these masterpieces accessible to the general public, both libraries worked together with funding from the Polonsky Foundation, a charitable organization that focuses on preserving and sharing cultural heritage primarily through the digitizing of important collections. 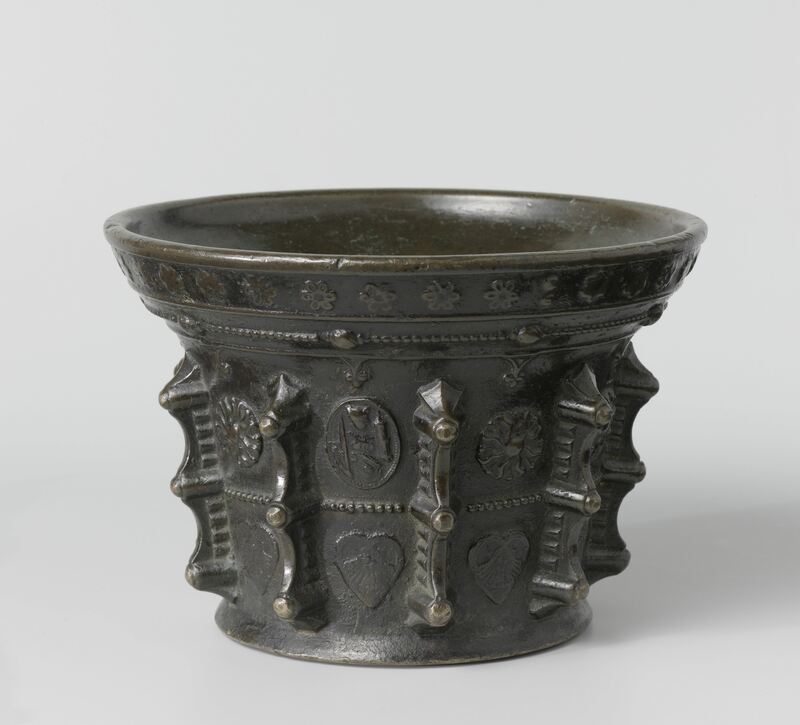 The carefully curated collection features works created in Medieval England and France between 700 and 1200 A.D. The manuscripts have been selected for their historical significance in terms of relations between France and England during the Middle Ages. They are also of unique artistic, historical or literary interest. 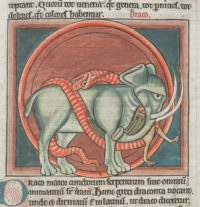 Produced between the eighth and the end of the twelfth century, they cover a wide range of subjects, illustrating intellectual production during the early middle ages and the Roman period. 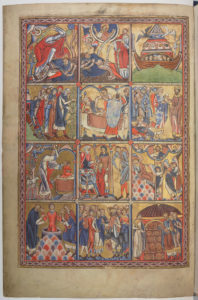 Among these manuscripts are a few precious, sumptuously illuminated examples such as the Benedictional of Winchester around the year 1000, the Bible de Chartres around 1140 or the Great Canterbury Anglo-Catalan Psalter produced circa 1200. With this corpus being of undisputable scientific interest, the programme is also characterised by several manuscript recovery operations: digitisation, online dissemination, restoration, scientific description and even mediation. 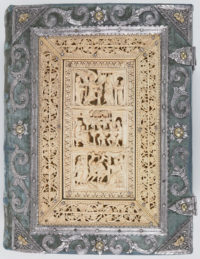 The BnF portal provides access to all 800 manuscripts. They are grouped according to themes, authors, places and centuries for ease of navigation and can be searched in English, French and Italian. The technical tools are downright nifty. Manuscripts can be viewed side-by-side for comparison. They can be annotated online and the annotations downloaded as json files for sharing. Manuscript pages can be downloaded as individual images or the entire manuscript can be download as a PDF. 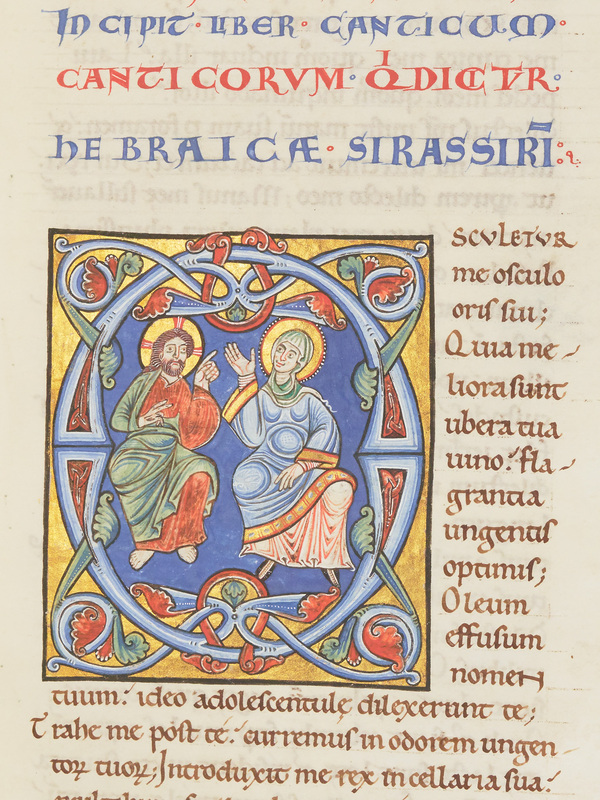 The BL portal presents a selection of manuscripts. Articles on subjects like medieval legal, medical and musical writing place the works in their historical context and significance. There are also pieces on the wider background of illumination, book-making, science and learning in the Middle Ages. 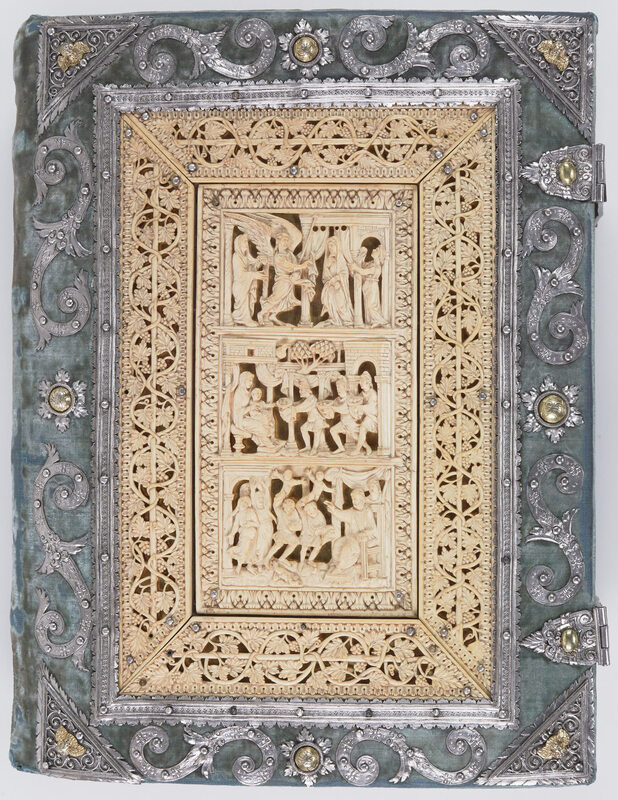 A few of the manuscripts in the collection have been highlighted here, and boy are they showstoppers — lavish illustrations, intricately carved ivory and precious metal covers, hymnals, psalters and a phenomenal bestiary. A fragment of a medieval manuscript used in the binding of a printed book has been identified as a unique Irish-language translation of a medical compendium by the great Islamic philosopher and physician Avicenna. Written on vellum in the 15th century, the fragment was part of a manuscript of Book 1 of The Canon of Medicine, a five-volume overview of medical knowledge in the Islamic world written in 1025 by Persian physician Ibn Sina (Avicenna in the Latinized version). The fragment is small, consisting of parts of descriptions of the physiology of the jaws, nose and back. It is an Irish translation of the Latin version of the text translated from the Arabic by Gerard of Cremona in the 13th century. This fragment is the only known example of Avicenna’s Canon in Irish. The ‘Canon of Medicine’ was a great medical encyclopedia which, through translation into Latin (from which the Irish text itself is translated), achieved great popularity in Europe, where state-of-the-art medical theory and practice in medieval times had their origins in the Muslim world. The Irish fragment contains parts of the opening chapters on the physiology of the jaws, the nose and the back. The existence of this text was not hitherto known in Ireland. 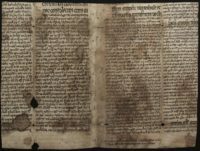 Medical scholarship in medieval Gaelic Ireland was on a par with that practised on the Continent and was the most outward-looking of all the native branches of learning. There is evidence of Irish scholars travelling to European medical schools, and bringing their learning back to the medical schools of Ireland. A century later, a sheet of the manuscript was heavily trimmed along the top and sides, sheering off a significant portion of the text, and folded four times to be used as a bifolium cover of a printed book. The book, a Latin manual of local administration, was printed and bound in London between 1534 and 1536. Since that time, it has been in the possession of a single English family, amazingly enough. Professor Pádraig Ó Macháin of the University College Cork found about the existence of this volume and as an Irish professor, was intrigued by the Irish language sheet. Professor Aoibheann Nic Dhonnchadha of the Dublin Institute for Advanced Studies, who bears the indisputably awesome distinction of being “the only living expert on medieval Irish medicine,” identified it as Avicenna’s classic tome. 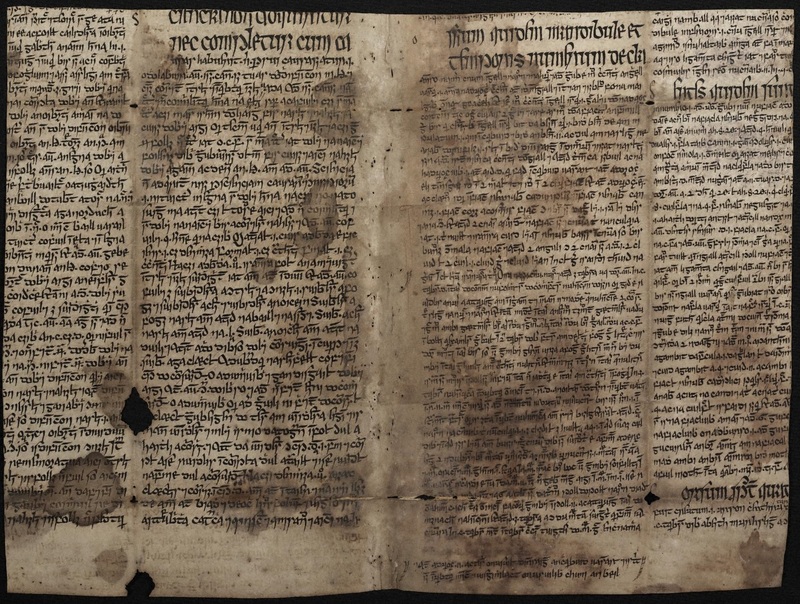 Persuaded by its unique importance in the history of Irish philology, books and medicine, the owners of the book agreed to allow the vellum sheet to be removed and the book rebound sans its priceless structural captive. 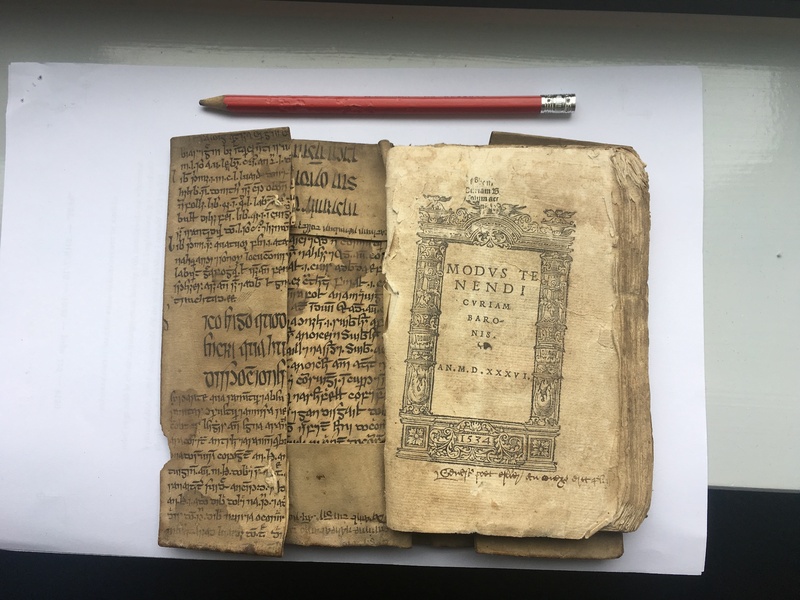 John Gillis of Trinity College Dublin removed the manuscript fragment from the binding, flattened the folds and conserved it as a single sheet. The fragment has been digitized and uploaded to the Irish Script on Screen website.